Berte's Digestion Blend (5 lb.) 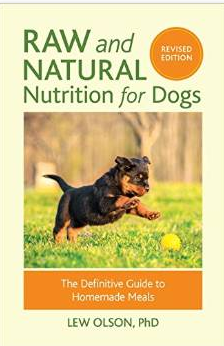 - $157.00 : Holistic, natural remedies for dogs and cats., Natural nutrition, food and supplemements for dogs, cats and horses. Description: Berte's Digestion Blend contains beneficial bacteria, pancreatic enzymes, amino acids and medicinal herbs in a convenient powder form. Designed to help heal the entire gastrointestinal system, this formula is beneficial for dogs suffering from Irritable Bowel Disease, Irritable Bowel Syndrome, Colitis, GI disorders and chronic diarrhea. L-Glutamine (500 mg), Lactobacillus Acidophilus 100 Million CFU (100 mg), Lactobacillus Bulgaricus 100 Million CFU (75 mg), Streptococcus Themophilus 75 Million CFU (75 mg), Ginger Root (10 mg), N-Acetyl-Glucosamine (50 mg), L-Glycine (32 mg), Papain (50 mg), Pepsin (100 mg), Pancreatin 4x (100 mg), Pancrelipase (50 mg), Ox Bile Extract (60 mg), Bromelain (40 mg), Amylase (30 mg), Trypsin (25 mg) and Betaine (30 mg). Information: Although Bertes Digestion Blend contains digestive enzymes, it can be used in conjunction with Food Science All Zyme for severe conditions, such as EPI (pancreatic insufficiency) or acute cases of IBD or colitis.